I introduced you to this fabulous lady in a blog post last year! 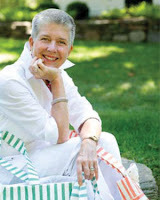 Her name is Catherine "Kate" Woodman and she is the owner/designer of Sharp Hill Designs. She has been featured in Martha Stewart Living Magazine, Fashion Mannuscript, and countless other blogs and publications. Kate has designed a NEW collection of bags called George. The collection consists of totes, handbags, clutches, laptop and tablet sleeves. All are exquisitely beautiful and sweet. The collection's first ship is March 15th. So let me showcase it for you! 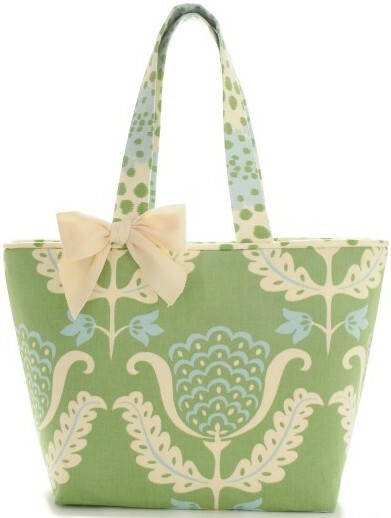 In conclusion, Kate has made a bag for ANY and EVERYTHING that LIFE can possibly throw our way! Thanks to her we can do it STYLISHLY! Whether you need a gift for someone or would like to treat yourself, her designs are well crafted and beautiful. 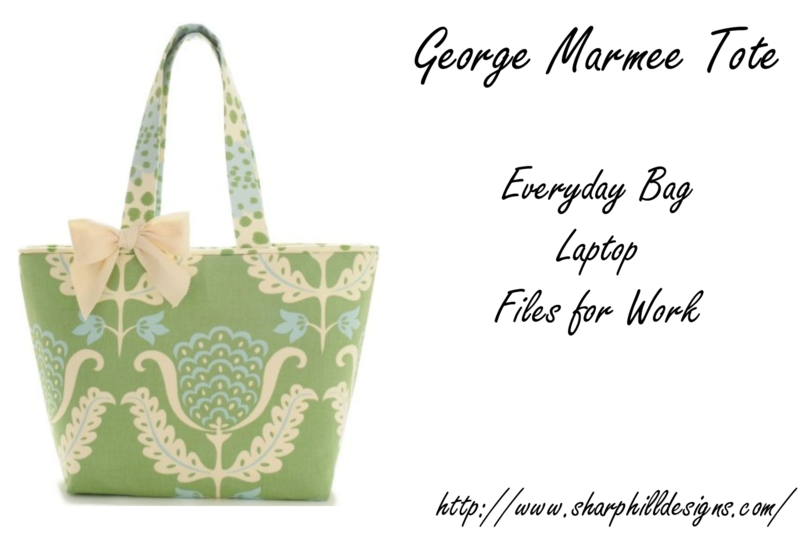 PLUS, she contributes a portion of all proceeds from the sale of her bags to Sanctuary for Families. Take a closer look at these designs and the other gorgeous collections on her website. You can also connect with her on Facebook and Twitter. Sign up for her newsletter to receive a 20% off coupon! *I was not compensated for this review. I simply love Kate's designs and wanted to feature them. I love the cosmetic bags. These are such cute designs!! 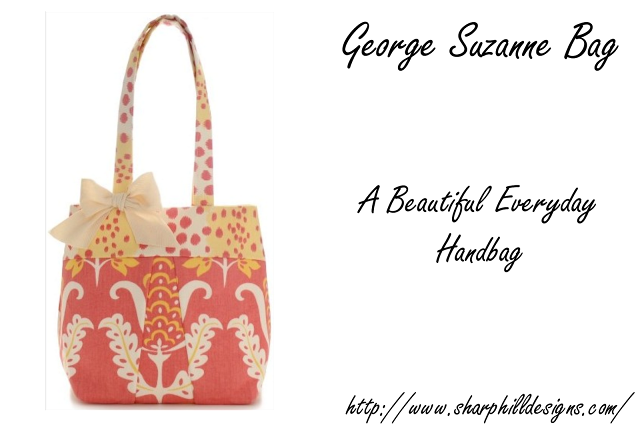 I have a red striped tote from her with a big bow on it I'm planning to use this summer. So cute, especially with easter coming up. Thanks Kim for your very sweet birthday wishes. Hope you have a lovely weekend! the laptop sleeves are very cute! 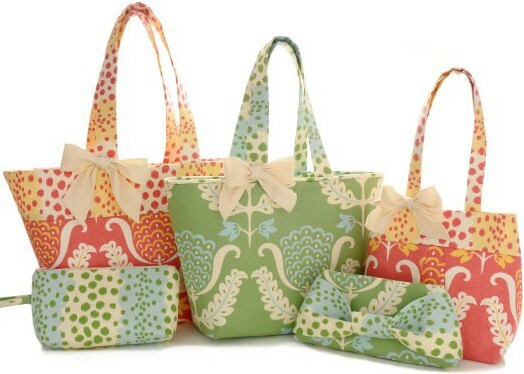 Those clutches with the bows are too cute! I love the patterns and colors in the collection too, very pretty. Have a wonderful weekend, Kim! Kate's collection looks very pretty and versatile and I love that she donates a portion of her proceeds to Sanctuary for Families. Will definitely keep this in mind as a gift idea. Thanks for the intro Kim! You always find the best things to share with us! Happy weekend! so cute! it's like a bit of summer on a bag! i remember the last time you featured her..she truly is doing a great thing..these bags are beautiful! Love that you share women entrepreneurs and designers. Hope you have a fantastic weekend Kim!! 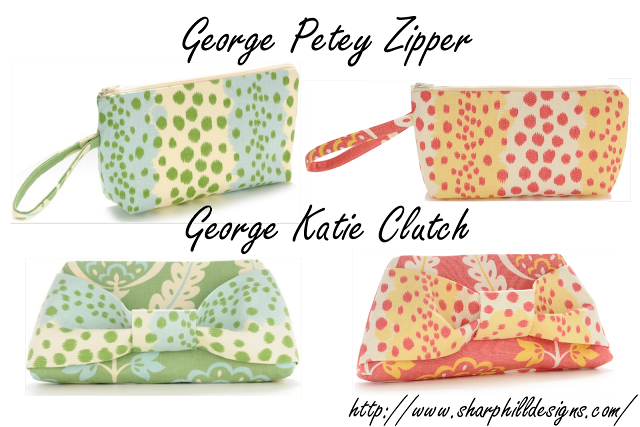 Those clutches are SO cute and make wish spring and summer would get here ASAP!! very pretty! i love the soft spring colors. the tablet sleeves are just adorable! 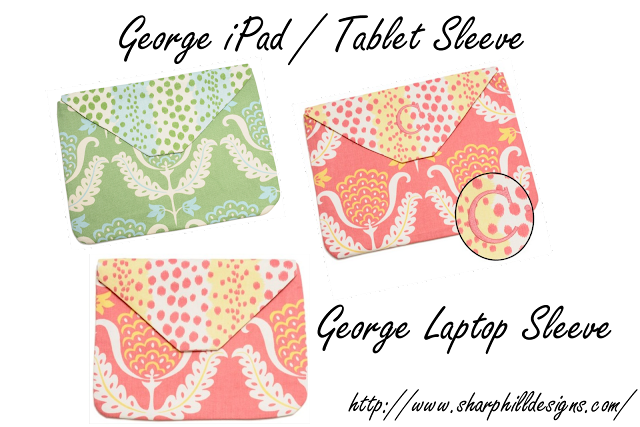 I love the colours and patterns, they are so whimsical and sweet. 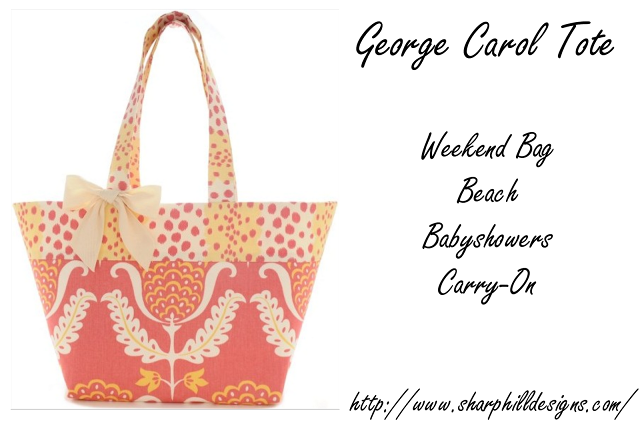 All of a sudden, I feel like I need a coloured tote... Happy weekend! i love companies with a cause. beautiful collections. oh I've heard of Sharp Hill Designs. my faves here are definitely the George Katie clutches! She's designed yet another lovely collection. her bags are cute, the prints are so pretty. such cute bags and love the laptop sleeves! very practical and fun! LOVE her summer color/pattern choices, the clutch and zipper pouch are my favorites. They truly would be perfect for cocktail parties and summer nights out!! Thanks for introducing us to a great new designer. I adore her pieces! 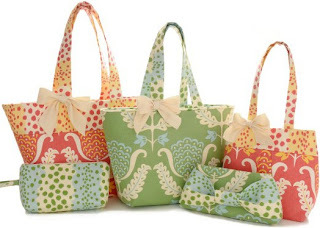 These are especially pretty with cute bows and soft spring color hues! I love her collection Kim I remember when you told us how you found out about her from Twitter. I wish I could enter her giveaway but I am not on Twitter :( sad I know but this is just the ambition I need to join.